An extremely practical and popular folding seat. The framework is made from aluminium, so it is very strong as well as being light to carry. It has two handles, so can be carried and used for balance and support as if it were a walking stick. 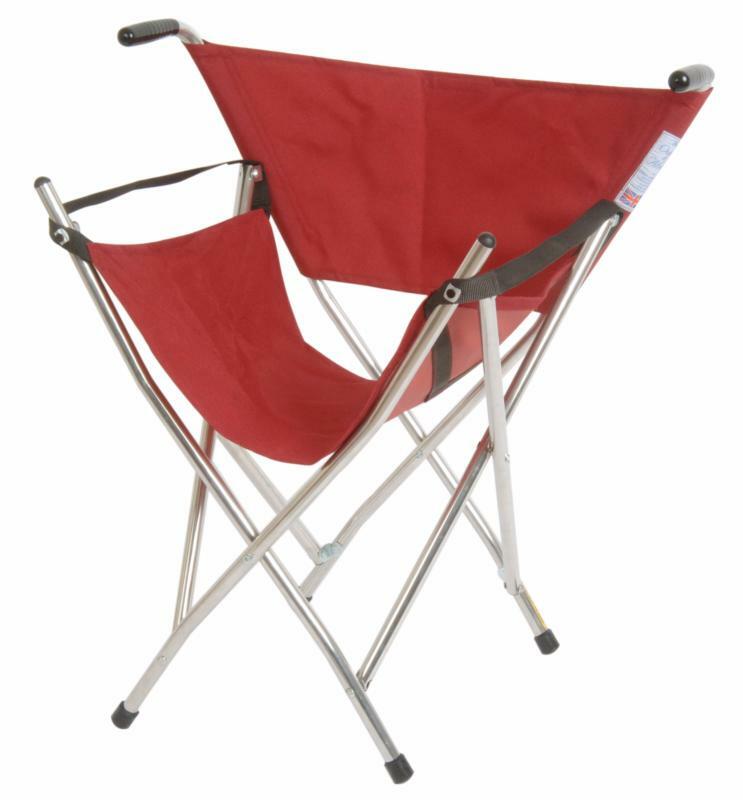 It opens out easily into a comfortable chair with a burgundy seat.